The Fender Custom Shop 2016 Prestige Collection is a group of exquisitely handcrafted offerings from Fender’s Master Builders. Debuting at the Fender Showcase at the 2016 NAMM Show in Anaheim, Calif., the Prestige Collection has drawn amazed gasps from the crowd, with each guitar and bass representing the pinnacle of Fender craftsmanship, artistry and detail. Master Builder Dale Wilson’s Stained Glass Tele is one of those gems, with an intricate LED light panel inside a multi-tiered body allowing it to glow. In addition, Master Builder Yuriy Shishkov designed the Music Repeater Tele, which was inspired by an 18th-century pocket watch and boasts custom hardware and hand-stained wood mesh with gilded hand-carved patterns. 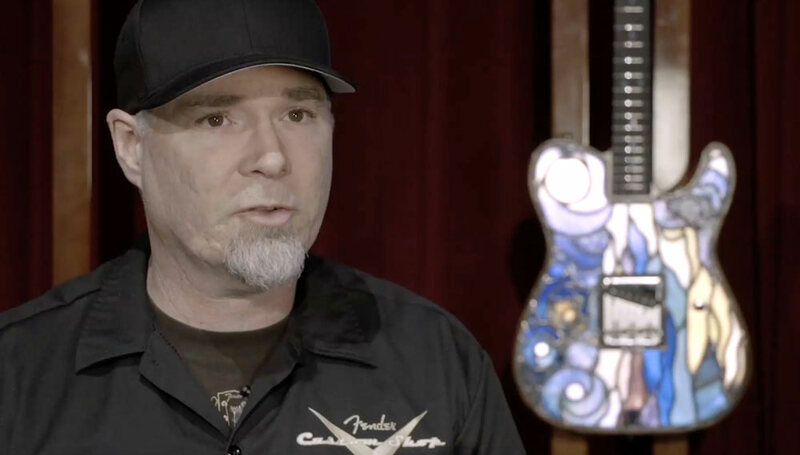 In the videos below, Wilson dissects his eye-catching masterpiece, and Fender Custom Shop Vice President of Product Development Mike Lewis breaks down the Music Repeater Tele.